Huawei launched its flagship P30 Pro alongside the P30 Lite in India. The phone was first unveiled in the last week of March, where the regular P30 was also announced aside from the two. But Huawei decides to skip it for the Indian market just like last year. As the name suggests, the Huawei P30 Pro is the high-end flagship variant whereas the P30 Lite offers inferior hardware at a lower price tag. However, you will see some similarity in the design and looks of the phones. Similar to its predecessor, the P30 Pro boasts of a promising camera with a much-hyped 10X periscopic hybrid zoom. Moreover, it&apos;s quad camera setup comprises of 40MP “SuperSpectrum" sensor, a 20MP wide angle lens, an 8MP “SuperZoom” lens that allows 10X hybrid zoom and 50X digital zoom, and finally a ToF (time of flight) sensor. For the uninitiated, Hybrid Zoom is Huawei’s old camera tech that uses dual cameras to mix data from two cameras at different focal lengths in order to rebuild more details when zooming in. The P30 Pro’s SuperZoom essentially uses the periscope lens setup to offer 5X optical zoom and 10X hybrid zoom. On the display front, the P30 Pro has a 6.47-inch OLED panel with a tiny notch housing the 32MP front camera. There’s a new addition in the form of an optical in-display fingerprint sensor. This time the phone uses the acoustic display tech which uses the upper half of the screen as a loudspeaker in place of the earpiece. The Huawei P30 Pro is packed with premium features. 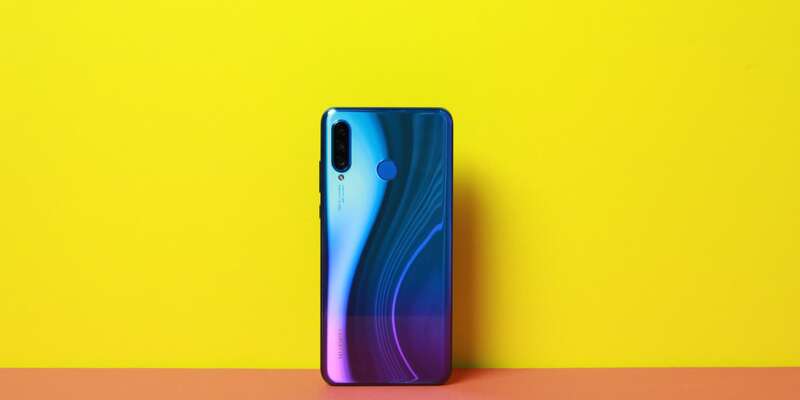 To support these features, the phone uses Huawei’s in house Kirin 980 chipset with NPU, 8GB of RAM and optional 128GB/256GB/512GB of storage. The phone offers all the latest connectivity features, and also packs a 4200mAh battery with 40W fast charge support. Interestingly, Huawei has retained the reverse charging feature from the Mate 20 Pro on the P30 Pro. The phone comes with Android Pie with EMUI 9.1 on top. The cheaper Huawei P30 Lite comes with triple camera sensors, including a 24MP primary sensor, an 8MP wide-angle shooter, and 2MP depth sensor. Unlike the Pro, it has a smaller 6.15-inch LCD display. The latest mid-range chipset, Kirin 710 powers it with either 4GB or 6GB RAM. The P30 Lite is more affordable, hence it misses out on a lot of P30 Pro features like in-display fingerprint sensor, acoustic display technology and reverse charging. It has a smaller 3340mAh battery with 18W fast charge. It runs on Android Pie with EMUI 9.1 skin on top. The Huawei P30 Pro will be available on Amazon.in starting April 15 at 12 AM for Prime members and April 16 at 12 AM for regular customers. Priced at INR 71,990, the device will be available in an 8GB RAM + 256 GB ROM variant. It will be available in Breathing Crystal and Aurora colors in India while the black may or may not be available at a later stage. The Huawei P30 Lite will be available on Amazon.in starting April 25 at 12 AM for Prime members and April 26 at 12 AM for regular customers. The HUAWEI P30 Lite will be available in two variants- INR 22,990 (6+128 GB variant) & INR 19990 (4+128 GB variant) and be available in two colors- Midnight black and Peacock blue.